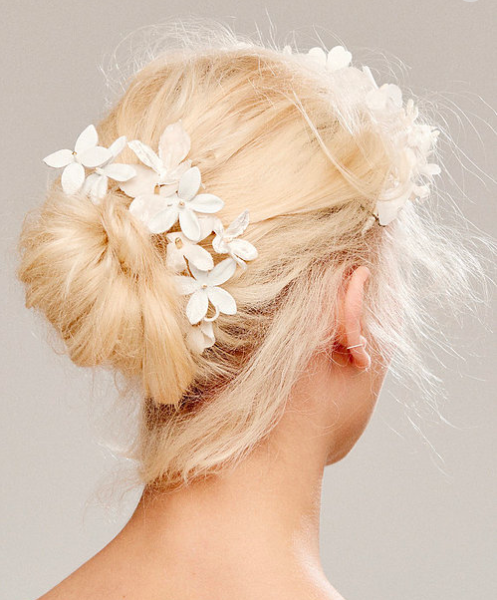 Bridal Hair accessory designer Luna Bea is a luxurious British bridal label with its roots in high fashion and fine art. Founded by Lou Simmonds after receiving numerous private commissions from designers, artists and creatives wanting something reflecting their own unique style, its pieces are for the modern bride, who has her own style and wants to take that into her wedding day. A lifelong passion for textiles, ancient jewellery, and the symbolism of female adornment is the heart and soul of LunaBea, a contemporary, yet romantic collection for todays woman - future heirlooms that return to the celebration of female sensuality from another world, place and time. Each piece is limited edition, providing rare investment pieces to be treasured now and in the future.